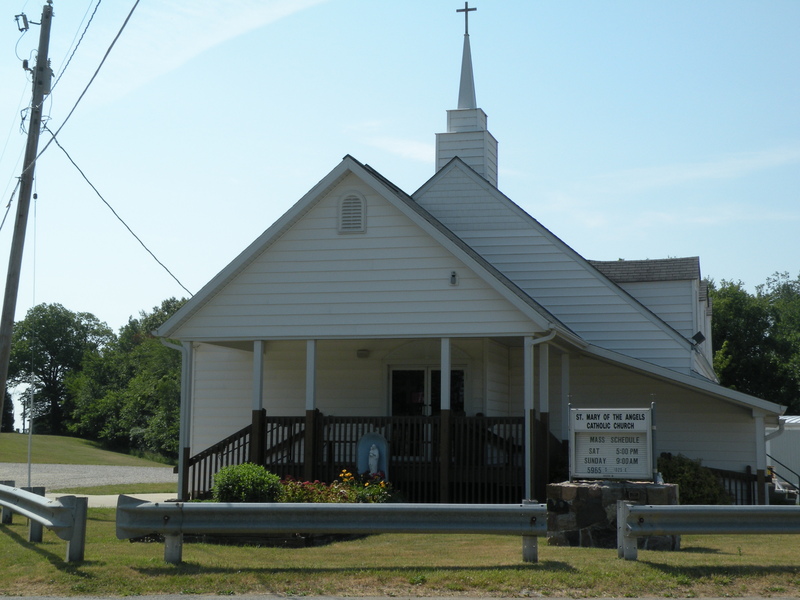 St. Mary of the Angels is a little church located near Big Long Lake in Lagrange County, Indiana; it has served Catholics in the area since 1937. Since that time, many dedicated retired Diocesan priests have offered Mass each weekend, except a few weeks in the month of January. St Mary’s continues to fulfill the spiritual needs of Catholics in the lake area. of each month from March thru October. The Fatima Rosary is prayed at 10:00 a.m. on the first Saturday of the month in the church.